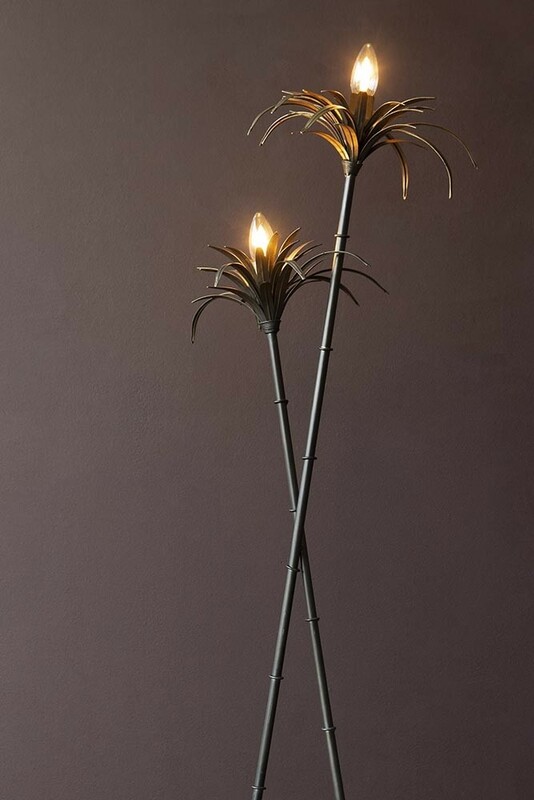 Introducing the fabulous Two Palm Reeds Floor Lamp! 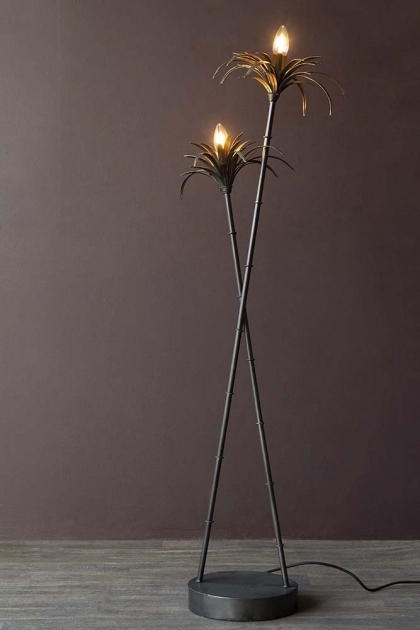 Taking inspiration from the iconic palm tree, the Reeds Floor Lamp features two palm reeds crossing over one another at an angle for a glorious glow that will illuminate any corner of your home with added Art Deco glamour. The Two Palm Reeds Floor Lamp measures 125cm in height and requires a E14 bulb with a maximum wattage of 40. 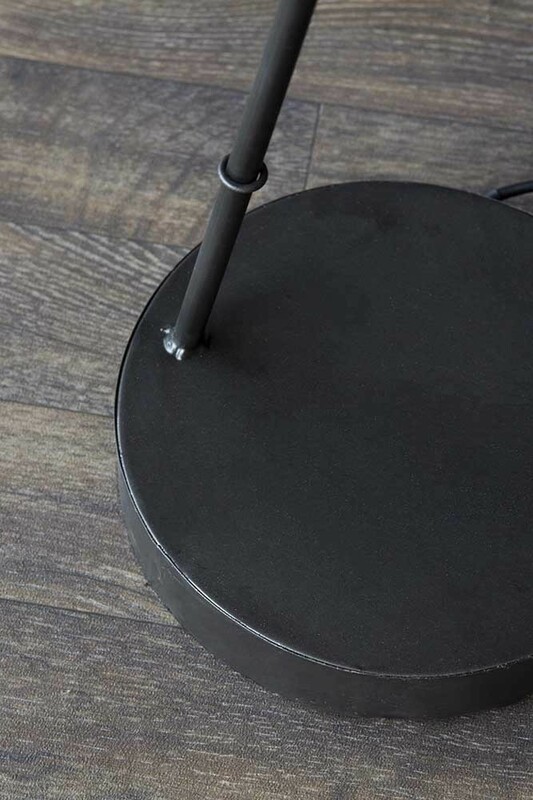 Please note, the Two Palm Reeds Floor Light requires specialist courier delivery with a delivery lead time of 2-3 weeks. We promise that it's worth the wait! An iconic symbol of style since the Art Deco days of the 20s, we know you’re going to love the Palm Reeds Floor Lamp as much as we do! 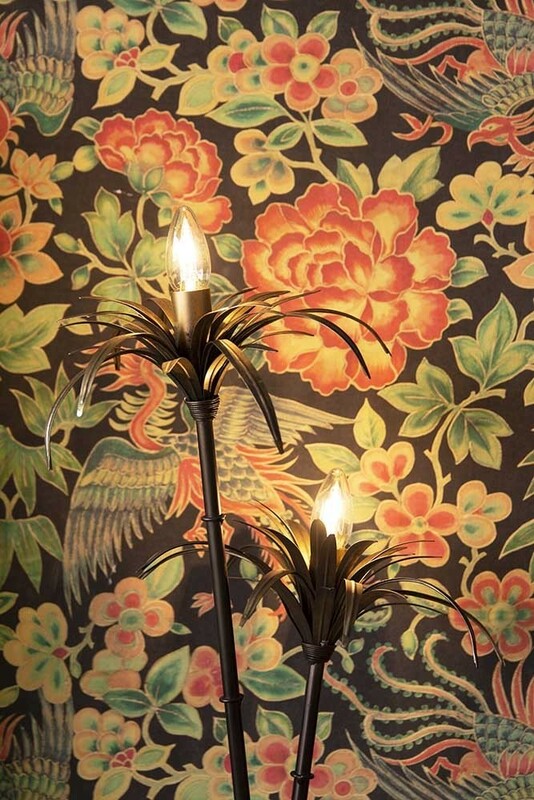 Combining old school glamour with a contemporary flair for design, the Two Palm Reeds Floor Lamp features an asymmetric silhouette and beautiful brass palm leaves that catch the light to reveal a subtle glow of antique gold. Perfect for any spot that needs a little extra illumination, the Reeds Floor Lamp promises to set the tone in your interior with stunning ambience. With palm leaves always in vogue, the Two Palm Reeds Floor Lamp is a timeless addition to any home and can be styled just about anywhere. 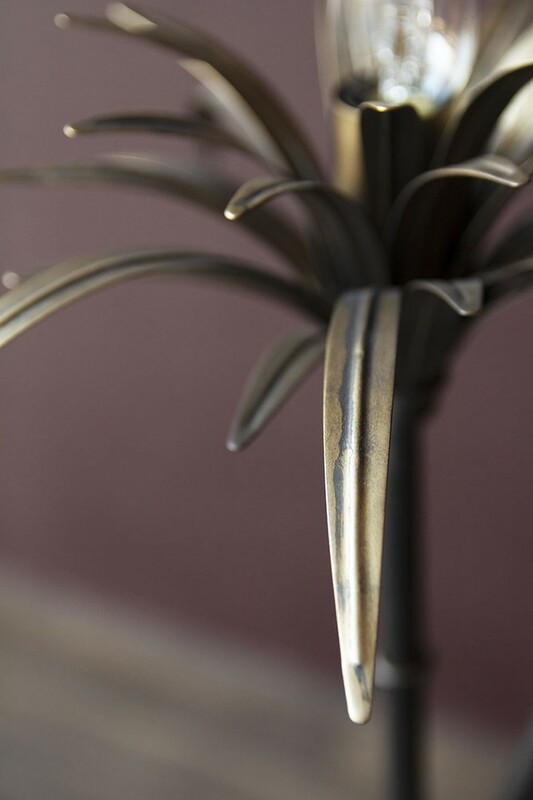 Place the Palm Reeds Lamp in the living room to make a statement of your lighting or add the Two Palms Table Light to the dining room for a touch of decadent drama! 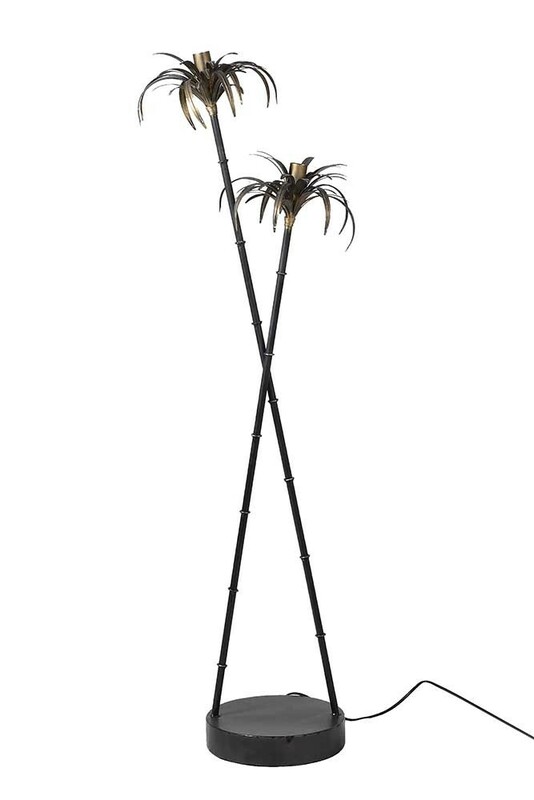 The Two Palm Reeds Floor Lamp requires specialist courier delivery, & has a delivery lead time of 2-3 weeks.